Ignis Recaros - Recline flat? 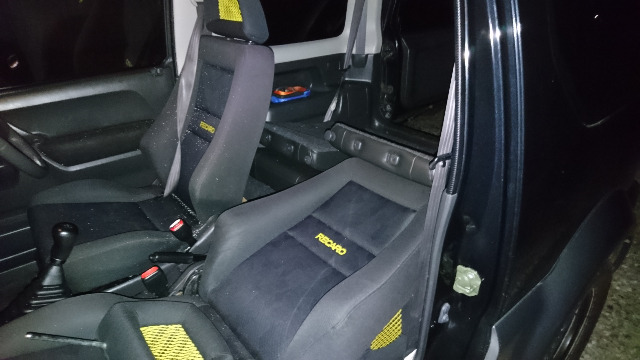 With the stock seats they recline back to level with the rear seat, do the Ignis Recaros do the same? In essence, I am building a rear box at the moment that needs to be just above the reclined seats as I will be making a flat area internally (whole car) and plan on installing Recaros when I get some so want to make the box to accommodate. Also they look like they are higher so I will need to sit the box slightly further back. Could anyone with a set please confirm if this will work? If someone could take a pic to show how far back the seats go into the rear area that would be amazing. Replied by Riccy on topic Ignis Recaros - Recline flat? 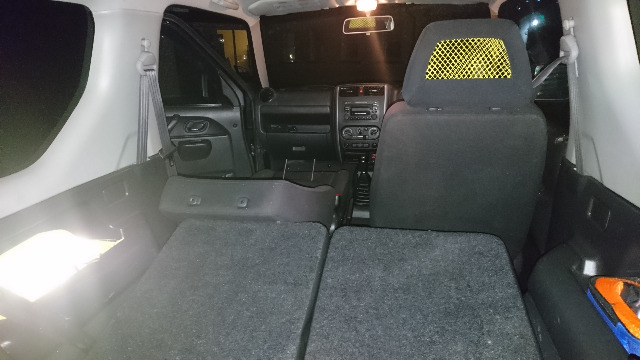 You have to cannibalise the jimny seats for the mounting and reclining parts, so they are exactly the same, except the backrests are a tiny bit wider on them. Replied by Caelite on topic Ignis Recaros - Recline flat? I actually just ran out to check there. 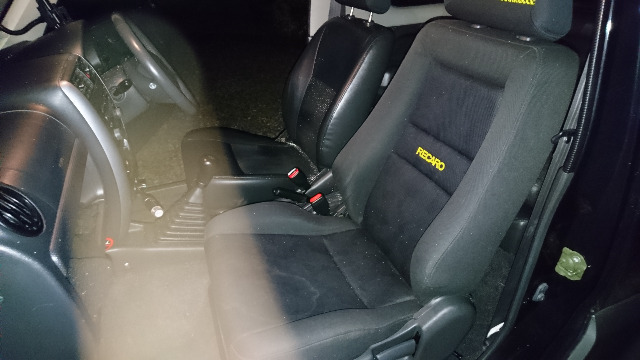 With the passenger seat in its most forward position the back of the chair is too high, it is obstructed by both the seat back of the back seat and seat base. Got some pictures to try and show what I mean. The Recaros are about ~50mm higher than the stock seats and the clearance just isn't there, however as riccy says, it's the same mechanism so it does have the capacity to fold just as flat if obstructions are removed. They are magnitudes more comfortable than the stock seats too. EDIT: If you want any more specific or better quality/larger pictures feel free to ask away. Last edit: 20 Jul 2018 23:07 by Caelite. Replied by ChrisW on topic Ignis Recaros - Recline flat? Thanks Caelite, those pics are perfect. I don't have the rear seats in so I can just adjust the size of the box I am building to be 50mm or so further back into the rear so the seat can fold all the way down. Its a lot of lost space, but I can make it work. Maybe make a hatch that I open, push the seat down and close it back up over the seat.... mmm more thinking needed.